Everything you ever wanted to know about social media marketing - but were afraid to ask. This video answers questions sent in by marketers about social media marketing - it concentrates on building a social media marketing strategy for your business, how to measure ROI against your social media efforts and includes some chin stroking topics at the end, because that's what people asked about. Which of your competitors do they follow? What time are they lurking online? What time are they active online? What questions do they have that you can answer (without selling them anything)? What free resources can you provide on your website and share on social? Update - 22nd November 2018: Closed Captions have been added to the video and here's the transcript. 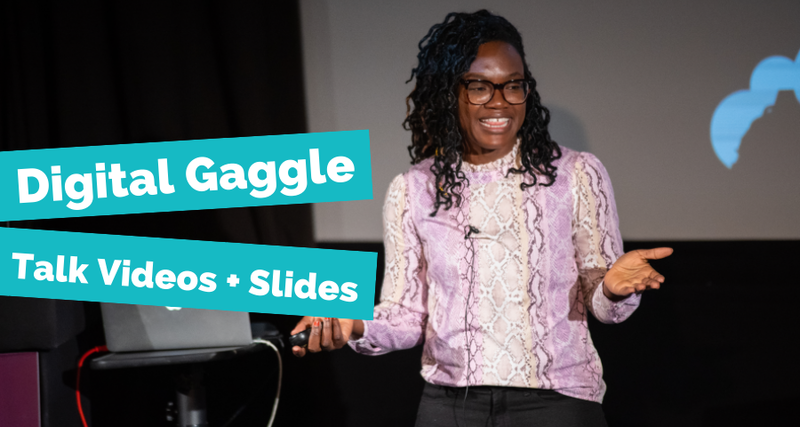 Hi, this is my talk from Digital Gaggle, November 2018, Everything you wanted to know about social media marketing* *but were afraid to ask. 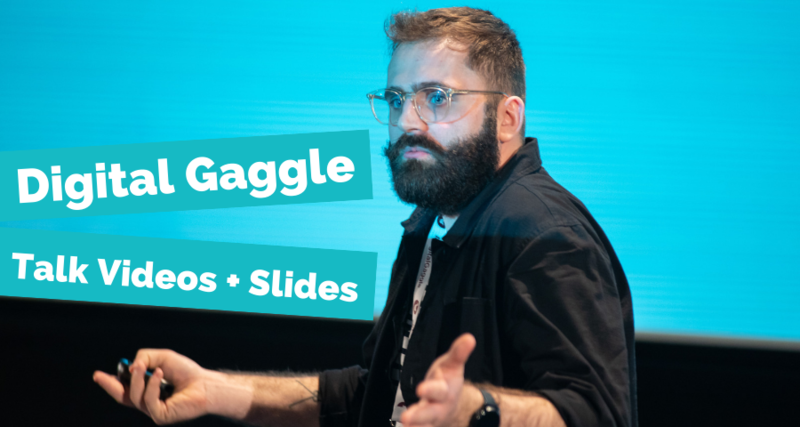 We asked delegates who were attending Digital Gaggle to tell us what it was that they had problems with on social media and we would attempt to answer as many of those questions as we could in 30 minutes. So this is us going. That's me. I'm Jon Payne. I'm the founder of digital marketing agency, Noisy Little Monkey, and also the founder of Digital Gaggle, the event. I am also an interim marketing director for a number of other businesses, helping them set their strategies and all of that kind of stuff. So when I was asked to put together a talk based on all of these questions, I sorted the data in the way that I could find was most useful, and to an audience who are primarily interested in social media. Obviously, the most useful way of sorting data is using a word cloud in the shape of a heart, and I think that what this sort of tells us is that actually people ask questions about Twitter, about social media marketing and about people and now, well, there you go. It doesn't really tell us much. So I went back to my SEO roots, so to speak, and sorted the questions that we received using Excel and I put them into four categories, chin stroking type questions, reporting, strategy type questions and technical questions because we're limited on time, I'm not going into the technical questions. You can find plenty of videos on Facebook and LinkedIn and on Twitter and various other channels where you can figure out how to set up better ads and all of that kind of stuff. If you've got any more questions about that, tweet @noisymonkey and the team here will endeavour to help you answer those questions. But what we're going to be talking about is the chin stroking questions the reporting questions, and the strategy questions, if you did ask questions about technical stuff or yours was one of the duplicate or nearly duplicate, I used fuzzy logic to get rid of close matches in terms of questions, I'm sorry that I'm not going to cover that today, if you don't see your question, but hopefully we should cover most of them. So here's our agenda, strategy, ROI and chin stroking questions. Let's move on. So here's the first question and I've tried to put them into an order that makes sense. I have a question from someone who says, my business already has customers. Why do we care about using social media in our marketing? Why is it important? It sounds like this guy doesn't even know why it's important to grow a business. My business already has customers. Why do I want to market to them? Well, let's talk about marketing in general, for people who do want to grow their business to people other than their existing customers. And then we'll look at social media in particular. Bit of background, the social media and the marketing, excuse me, not the social media landscape. The marketing landscape and the advertising landscape has changed. It's a fundamentally broken model is my belief in that we are all bombarded with way too many messages on a daily basis to be able to begin to even take them in or retain them. Think of one of the brands you work for, think of one of the campaigns you're running, you know, would that get noticed amongst all of the mess of ads that we see every day on TV and social and in real life? Try to think of a TV ad you saw last night that resonated. Can you remember the brand? No, probably not. That's because some people estimate that we see up to 5,000 adverts a day. That's not really very easy to prove, but there was a little study that the Guardian newspaper did in 2015 where they had a guy wear a pair of goggles that tracked his eyes on the London Underground and on a 90-minute commute, this gentleman saw 250 adverts from 100 brands in 70 different formats. So we're seeing too many ads, right, and increasingly it doesn't matter anyway about advertising or it matters less because the consumer or the buyer of whatever it is you're selling is able to just Google the answer to their questions. So they begin to show that they have maybe an awareness that there is something missing in their life or their business isn't growing as quickly as they might want it to. They Google and find some websites and they make themselves familiar with the different solutions to their potential problem. They consider a number of suppliers and the products or services they offer, they choose a supplier and they eventually purchase, and hopefully, the supplier has a great product and good customer service and that promotes loyalty. This is McKinsey's graph, illustration of the purchase journey, all of the big four consultancy firms have this kind of thing. Here's Noisy Little Monkey's version of that, we want to use these parts of your digital marketing to attract people when they're in the awareness phase when they're beginning to understand that they've got a problem. When we help them on a website, name their problem or begin to name the solution to their problem, and that's when we're converting them into maybe very high-level lead, and then over time the sales team and marketing automation and sales enablement tools can help people who are in the consideration phase, close to become a closed win for your business. And then finally, we're able to demonstrate return on investment and customer loyalty using reporting analytics and SaaS integration and all of that kind of stuff. But this talk is really about social media, which is right up here in the attract phase. So while this is our overall methodology here at Noisy Little Monkey, social media is part of your attract phase content. So let's start looking at the questions. Now we've covered the background. Strategic questions. How are other organisations using Facebook now the algorithm favours personal content? Well, I can't exactly answer how other organisations are using it. I can show you some examples, but often if I don't know or if the speaker doesn't know the strategy behind the examples, it's all just speculation. So let's look at the algorithm really. This is a slide from a Facebook meeting I think back in 2017 where they were talking about what it means to have real interactions with branded or advertised content and they are talking about meaningful actions being prioritised, they being Facebook, and meaningful interactions is not simply liking or sharing, it's more commenting and sharing it on Messenger maybe. It is engaging not only with the post but with the person that shared it. And if you think about that from a brand point of view, we need to behave as brands like, in terms of our content, it needs to be as good as the sort of content people's friends and family are putting up because all of those little signals that you're seeing there are the sort of signals that it's easy to generate with human to human content. So as brands, we need to be more human, I guess, and think about what resonates with our potential audience and what are they likely to share, what they likely to share on a link over Messenger, for instance? That's way more than you just putting up a picture of your latest product or service and hoping that people like it. So beyond, like worthy, your content needs to be conversation-worthy. How do I grow my social media following without spending any money? And we have another question here that's similar working in B2B we need to know how to target the right people. So how to target the right people without spending any money. You need to do your groundwork. What we use here at Noisy Little Monkey, and it's part of the inbound methodology, which is becoming increasingly popular, is you have buyer personas who you target. In this case, these are ours, Marketing Manager Mary and Agency Alex, Marketing Manager Mary works for a business that turns over between 10 million and 200 million pounds sterling a year and Agency Alex works for a local marketing agency who can refer us clients. So most of our content is targeted at these two people and fixing their problems, basically. We're not necessarily trying to sell to them on our website because that's not the job of a website. That's the job of the Biz Dev team. What we're trying to do is help them give a name to the problems they might be going through, help them understand what the different solutions are and hopefully include us in their consideration phase and at that point we might try to sell to them on our website, not on our website, excuse me, certainly not on social media. On social media, we're sharing content that's relevant to the day to day lives of Marketing Manager Mary and Agency Alex, and we're doing it at a time when we know they're online because these are generalised, fictionalised representations of real people that we've met, and we put them all in an amalgam. We target these guys. We know when they're online, what time their commute is, whether or not they answer questions on Twitter after Question Time, typically some of them will. So we think about timing as well, as well as the tone of voice and all of that kind of stuff. Here's some good buyer persona questions and I'll put these questions separately in the blog in case you don't get a chance to come back and watch the video again and who would want to? It's probably going to be a long one. But these are some of the questions you should ask when you're building buyer personas. We've also got a guide, I'll put that link in the blog, about how to build your buyer personas and this is another guide which is a social media marketing guide which talks about how to target those people, how to create your content and all of that kind of stuff. So do go get that guide. Everything that we're talking about today for Noisy Little Monkey is free. Go ahead and download that at your leisure. So what are the appropriate guidelines for the use of social media? So this question felt to me like it was much more from the point of view of the process and protecting the brand rather than sort of marketing. 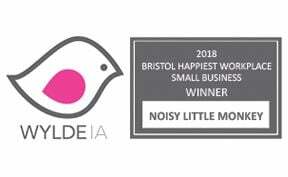 So I talked to one of my lawyer friends, we work with lots of lawyers at Noisy Little Monkey helping them with their marketing and she was able to give me some information. The key is to have a social media policy, train your staff and use it. Don't just put it in a drawer, train your staff and use it. And here's again some of her quick tips that you need on your social media marketing policy. The key thing I guess is to remember to use examples of what good and bad social media looks like. What's going to be a gross misconduct issue? Some examples that Laura used when she was talking about this at an event I was at, was this one, for instance, with Crisp versus Apple Retail where it was a case that went to an employment tribunal because this person Crisp had said "MobileMe f***ed up my time zone for the third time in a week and woke me up at 3:00 AM? JOY!!" and "once again, f*** you very much work." MobileMe is an Apple App. So do you think that this, when Crisp took Apple Retail to the employment tribunal in the UK, so under European law, do you think that Crisp was found to have been dismissed fairly or unfairly? What do you think? Well, in this case, it was considered a fair dismissal because Apple Retail have a very clear social media policy that says you are not allowed to criticise our products on social media. Crisp went against this, had he seen this social media policy or she'd seen the social media policy. So the dismissal was found to be fair. This is another one, Walters versus Asda Stores. So "Even though I'm supposed to love our customers, hitting them in the back of the head with a pic axe would make me feel far happier heheh." says Mr or Mrs Walters. What do you think about this one? Was Asda Stores right to dismiss or not were they right, but in the case, in the terms of the legal case for fair or unfair dismissal, did you think the tribunal found it for Asda Stores or against Asda Stores? They found against because while this looks like, I don't think he's going to get a pic axe or she's going to get a pic axe, but while it looks kind of like it can be brand damaging, Asda Stores at the time did not have a social media policy that they had shared with all of their employees. Therefore, Mr or Mrs Walters, in this case, was not unable to, was not able to know that this stepped outside the boundaries of what Asda Stores felt was good. So this was seen as an unfair dismissal. So you need to have your social media policy in place. You need to share it with your team and you need to keep it updated. If you don't have a social media policy in place and you want to have a quick chat with someone, if you are in England and Wales, England or Wales, the lovely Laura Roper can help you. I'll put a link to her website in the bottom of this post as well so that you can hit her up for a quick conversation and she can see whether or not you actually need some legal help. So another question was, which platforms are best for the technology sector? These are they, Reddit, Slack, IRC and Discourse across the top. And then across the bottom, we have a Quora, Telegram, and if you're targeting people more in the management level, LinkedIn and Twitter works with the management level as well, and also on the sort of ground floor, shop floor level. Those are the ones we believe work best. It's worth trying out some others and I'd love to hear if you know of any others, just tweet me or put a comment in wherever you're seeing this and I'll get back to you. So someone asked what's basically the magic number of hashtags? And in this case, it referred to LinkedIn. I asked this question of the office and was told 11, which is I think just a number that someone pulled out of their armpit. The truth is, there probably isn't a magic number and certainly, you don't need to use them on Facebook. They're of limited use on LinkedIn, but the way you can find them is using these tools, Hashtagify or RiteTag. They'll both give you a free trial, but it's key to remember quality over quantity in terms of hashtags. You don't want to put too many in. You want to use ones that give a brand of your reach enough chance of showing. So Instagram is quite good at showing you how many people, excuse me, have used that hashtag. It gives you a number by the hashtag when you're putting it in if you're using your phone to put it in. If you're only a small brand, don't go for something that's got millions of other people using that hashtag. Go for something that's got a few thousand, maybe 10, 20,000. So that you've got a chance of being seen and then you can grow. So quality over quantity in terms of hashtags. How much of a reputational risk is it to respond from unnecessary social complaints with something sassy or sarky? SCHLUL and is commenting on posts in a slightly bland, vanilla way better than not commenting at all? Well, the way you figure that out is you know your customers, and we've talked about buyer personas already, but moving on from buyer personas, the next thing businesses need and brands need that have people doing social media is a feedback and reviews policy. How do you respond to positive reviews? How do you respond to negative reviews? How do you respond to positive feedback on social media? How do you respond to negative feedback? If you've got that written down, you've got a process, you've got a policy written down, you'll know whether or not you can be sarky and you'll know whether or not it's worth commenting on something vanilla or whether you just let it go. It's also really useful to have a crisis management document so that if the sh1t hits the fan and people start overtly criticising or piling on your brand on social media, or if you have a really bad catastrophic failure at your business and someone gets injured or maybe even there's a death, have a crisis management document, the last thing you want to be thinking about is, Oh God, what are we going to put out on social media? If it's really serious and people, humans are involved, it's not just marketing at that point. You need to think about these people's families and all that kind of stuff. It's stuff we've worked on with our clients and we found them profoundly useful when things have gone very badly wrong and real human beings have been impacted. To have a crisis management document that just means we know that we shut down all social media channels, put out the press release that says whatever it is that it needs to say to make sure that we are telling the truth and ensuring that we are compliant and also thinking about the family's wishes and obviously there are legal steps to go through. So knowing that you can just allow the 18-year-old who's in charge of your social media to hit a button that deletes all of the scheduled stuff and then the crisis management takes over. It means you also don't put out any frivolous stuff. One of the British airports a long time ago, just after a plane had crashed, thankfully no one was hurt, it had done a crash landing, had a scheduled post within a matter of three or four hours, that was a funny kind of jokey one and a couple of the newspaper websites in the UK picked up on it and said, well, no wonder planes crash if this is all they're doing all day. And of course, it's just a jarring set of circumstances. But if you've got a crisis management doc and step one is delete everything that is in the current schedule, you're in good shape. Of course, if you know your buyer personas and you know how you're going to deal with feedback and reviews, you can do stuff imaginative with reviews. So this is what KFC are doing right now. They're promoting old posts in the UK about their terrible fries because they've just released better fries apparently. That's really cool. That's a really slick thing to do, and this is Burger King, sorry I keep looking over there because I'm looking at the clock. I've got a call in 20 minutes, so this will be done by then and this is Burger King doing cool stuff and messing about with Kanye West. The tweet that's not showing on here is the thread shows underneath here that Burger King then says, if I'd known this was going to blow up this much, I'd have created a SoundCloud, which is what everybody puts on their tweets. It's a good trope, good meme, really nice work. So is there any point of social in B2B when selling is about, well, being social (i.e. people)? Well, I'd argue that it's actually about dogs. This is my dog at a polling station at some recent local elections. It's a terrible photo. The dog isn't in focus, but I used the dogs at polling stations hashtag, and right now it's got about 11 or 1200 likes. It got picked up by the Associated Press, so frankly for me right now, social media is about dogs, but in truth, if you're a B2B organisation and you understand your buyer personas, those generalised, fictionalised representations of your perfect buyer and you have put together a content plan that targets those buyers, so you've got content that you can share with them that they can either find on search engines or you can share on your social media, and this is the key thing, you know that stuff directs it at the people which is the social bit, but having SMART goals in your business, specific, measurable, attainable, realistic, and time based, having those goals is going to, if you set them and relate them to the revenue of your business, if I grow traffic from Twitter and LinkedIn and Facebook and Instagram by 10 percent, it should increase the number of visitors to our website by X, which should increase the number of sales or the pounds in the till at the end of the day by Y. Set those SMART goals. Have a discussion with the senior people in your business, understand what the revenue or GP targets are, and understand how you as a marketer contribute to those and then see how social media fits with that. Don't forget social media is one small part of your overall digital marketing attract and convert phase, but you can set social media SMART goals. If you do social media with your team, which is a much better strategy. How do you manage risk when those people could leave? And they do, typically, the people who do social media in businesses are young and already avid social media users, the dusty old buggers on the board aren't getting involved in social media very much typically. So they have a young person helping them out and they've got an agency doing that for them, like us, how do you manage risk when those people could and do leave because they're young? We all left jobs when we were young. Again, have written buyer personas so that the replacement that you hire knows who you're targeting and you've got a content plan so they know what's happening next week, next month because you had that content plan planned out for the whole year. Yes, of course, it can flex, but you've got a content plan that targets your buyer personas and if you've got already planned out SMART goals, they know what they need to do. They know what they need to do to demonstrate success. So yeah, same thing really, but if you don't have them when someone leaves and it's all in their head, you could be in trouble. So let's look at measuring return on investment. So this was one of the first questions we got through about that. Are we doing social media because we must or because we know we should? I don't know what that is. It's a strange question. As a law firm, we regularly question whether Twitter is worth our time. Well, the way you can check that is set SMART goals, use Twitter to try and meet those SMART goals both for social media and for the revenue of your business, and then you can measure whether or not you're meeting your SMART goals with Twitter's native analytics, for instance. So log into ads.twitter.com on your corporate account and you can see how many times a tweet was viewed, how many times it was clicked or shared or retweeted, and therefore the engagement rate based on your current follower numbers and you can promote it from within there as well. If you drill down a bit, you can see even more analytics going back over the last 28 days. So that's Twitter. Actually, if you're a law firm, you should probably also getting your partners to use LLP and this is a post that I did on October the 24th. You can see it's had 25 comments and 2 likes. You can see the brands who've commented or where the people work from the brands who've commented, their level or their role within an organisation and their approximate location. So that's really, really useful for me to know that kind of stuff. And obviously, you can set some SMART goals around driving traffic from LinkedIn and Twitter as well. So how do we go around learning about what has most impact and what works, and getting new ideas when you're time poor, and what's the best way of measuring social media investment? Is the return on investment really worth it? Well, if you've got SMART goals, you'll know whether or not it's contributing to your business's overall revenue targets. Use the platform's native analytics, I've showed you Twitter and LinkedIn's, of course, Facebook has its own, Pinterest, Instagram have their own, Snapchat has its own. Tools like RivalIQ are really good. I'll put a link to that in the post down below. Not only can you measure your success, but you can see what's working for your competitors, which is an incredibly useful to get inspiration about what resonates with your audience. And, of course, make sure that you're looking at Google Analytics to see how many people are coming from social media to your website and how many of those are then converting to becoming either people putting stuff in their basket and checking out or becoming sales leads if you are a B2B business or becoming initial inquiries if you're more of a consultancy or legal type business, use Google Analytics for that. You need to make sure that you've got goals set up within Google Analytics and make sure that they're aligned with your business's SMART goals. Ha, keep coming back to that, but it's important. How do you think social media, how do you link social media marketing to sales? Does it make a viable difference and how much? Well social media is right up here, as we say, at the top of our marketing funnel and people have to come through our website, click a landing page, go through a form, get into our CRM and then a salesperson can email them, talk to them on the phone and close them. So it's only going to play a small part, but you can measure that. This is our website analytics and if you'd like to know about how to get more analytics like this, just get in touch with me and I can talk you through how to do it. But you can see that organic search has driven us the most website sessions to our website. Our conversion rate from organic search is a little under one percent. We've had 331 new contacts, and that might be someone signing up to our webinar, coming to one of our events, downloading a guide or using the contact form. And then we have a two percent conversion rate of those people into customers. And I can see here, just skipping down to social media that actually it drives very little traffic, but it has an extraordinarily high conversion rate. Once people come to us from social media, they're much more likely than search or direct traffic to convert into a customer. And let's say that our average customer is worth 25 grand, in this case, social media made us 50 grand this year. That's worth it to me for the half a day a week that our guys invest because that will go on and on and on. Those people are likely to come back. I'd be delighted to show you how we can set up a dashboard for this so that you can close the loop on your reporting. So do get in touch if you want that. Do our clients actually care or read about what we put on Twitter? While Natalie isn't a client here, she's an ex-employee. She works at a potential client and it's a really good example of knowing that when you screw up like we did here, we forgot to add the link, someone will spot it. It's good to know. That's got two likes, so we know more than just Natalie looked at it. Yeah, in truth, we know that it works. It's difficult to measure if they just see it, but anecdotally people talk to me all the time about how they follow our social channels. Of course, we're a marketing agency so we're a bit better at it than you, but get your sales team to ask your... we're not necessarily better at it than you, God, how arrogant, but you know what I mean. We're able to perhaps be a bit more flamboyant than you guys if you're just in, if you're selling pipe. So, but yeah, get your sales team to ask their customers and potential customers whether or not they follow your social media channels, and hopefully, you'll hear interesting feedback there. So some chin stroking questions. Do we have to do, do we still have to do dreaded link building? And how important is this predicted to be in 2019 to 2020? If you go back on our blog to about 2008, I've written a blog post about how you shouldn't do link building anyway, links from social media don't really count towards any search algorithm, there might be something about a volume of sharing, but it's going to be, if anything, a short, sharp spike in your traffic and rankings, I don't believe you're going to see too much. And certainly, link building for and of its own sake is completely a waste of your time. What you should be doing is thinking about your personas, thinking about the magazines, blogs, newspapers, and events that they go to and doing PR around those. And then when you're doing PR around those, you're much more likely to get mentioned in those trusted authoritative sites, and that will give you links that is not link building, but is valuable because not only does Google see it, people will see it in your industry and that's much better than, well, if you're going to buy in 500 links for a 1,000 bucks, you're an idiot. Is email dead, to be replaced by social? Well, no, not in my methodology. Social is up here. Email is right down in the close phase. You should only be sending people personalised emails. Newsletters barely get opened. I mean, Seth Godin, is a great example of a newsletter that gets opened, but it's short, it's to the point and he really knows that he has to write it, so you go, oh my, I really want to open this email. 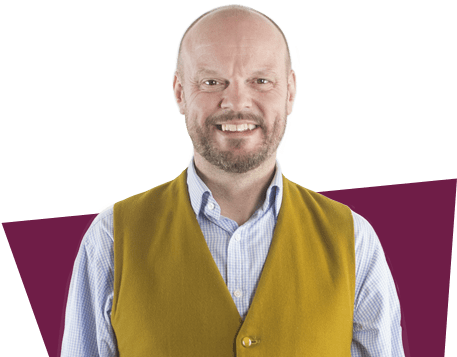 Most newsletters don't get opened, but using it in the close or the convert and close phase of your customer's buying journey, that's when you should use it because you can personalise it to them and where they are in the buying cycle as opposed to just spamming out nonsense. What direct or indirect impact is social media really playing on the mental health and wellbeing of our young people? No, I don't want a coffee. Thank you. Well, someone was making me a coffee and now they've dropped the cup. This was a really interesting question from a pal of mine, Richard. And he said, are you too afraid to answer? I'm not too afraid to answer. I think we know it's probably having a direct negative impact, often more than its positive impact and we need to be cognizant of that. And he shared with me a really useful guide from the NHS. Again, I'll put the link in the blog post to this report which says that probably Instagram is one of the most harmful social medias. As harmful social medias, I don't know whether that's a phrase but go read it, it's interesting and it hopefully will guide you on maybe how your brand content can be more supportive and less damaging of the real humans who are interacting with it. Prediction for Instagram now that the founders have left? that will probably date this in a couple of years, but this is my prediction. Mark Zuckerberg will do his funky smile. And how many social media marketers are exploring podcasting right now? I got the people in the room where I delivered this to put up their hands and we had a man from a podcasting agency talking to James from Ogilvy who is good enough to come and talk and share his digital marketing trends from 2019, 2018 and a little lifting the lid on 2019. Podcasts may feature, I could not possibly comment on whether podcasts feature in James Whatley's trends for 2019. But you know what? I don't know whether they do, but you should check it out. Here's my takeaways. For social media marketing, you need to have a robust strategy, you need to know what success looks like and you need to use relevant reporting. I hope that was useful to you. 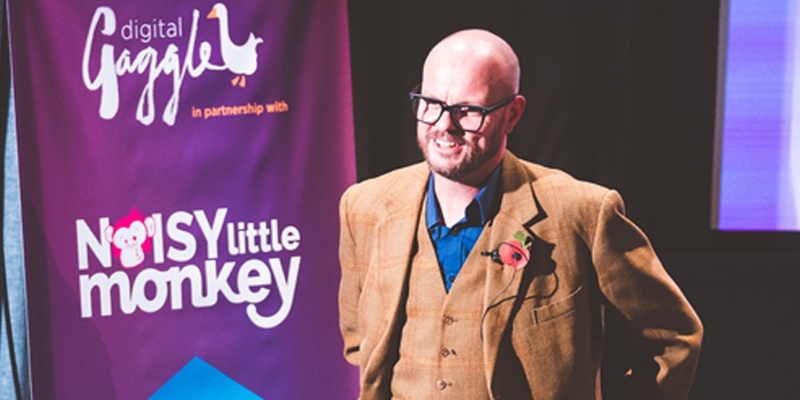 If you've got any questions you can tweet me @MrJonPayne or @noisylittlemonkey. No H and J. Jon, and Payne is P A Y N E. You can hit me up on LinkedIn if that's where you're watching this, just leave a comment or you can get in touch with Noisy Little Monkey. Just search, Noisy Little Monkey, nothing else is going to come up. Okay, thanks. Bye.